Last night I had a night at Nama. A dear foodie friend had been eager to try it, I had heard about it during the summer, in particular their breakfast pancakes that had been circulating instagram and after last night I will definitely be back for breakfast! Situated on Talbot road, Nama is all white washed walls and wooden floors. 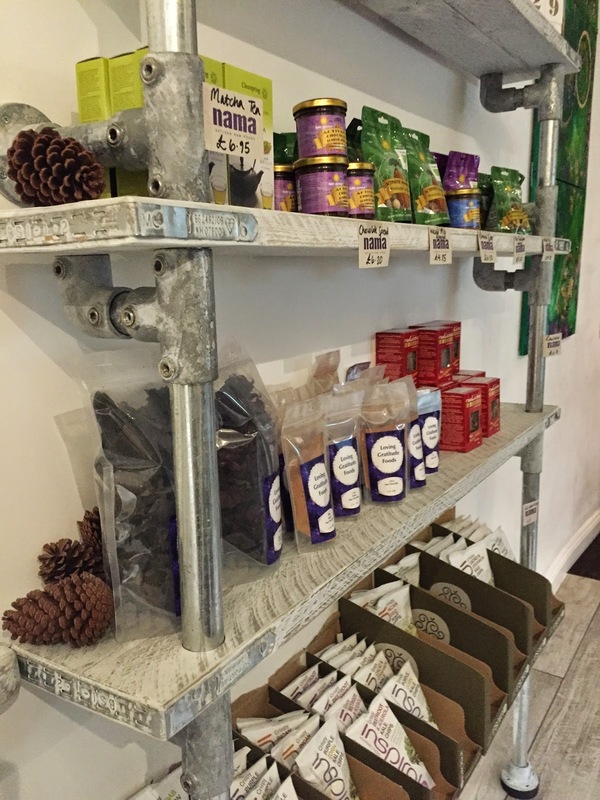 They serve a small but fantastic menu of raw goodies, a great selection of starters and nibbles, a fantastic spread of mains and delicious, delicious desserts. 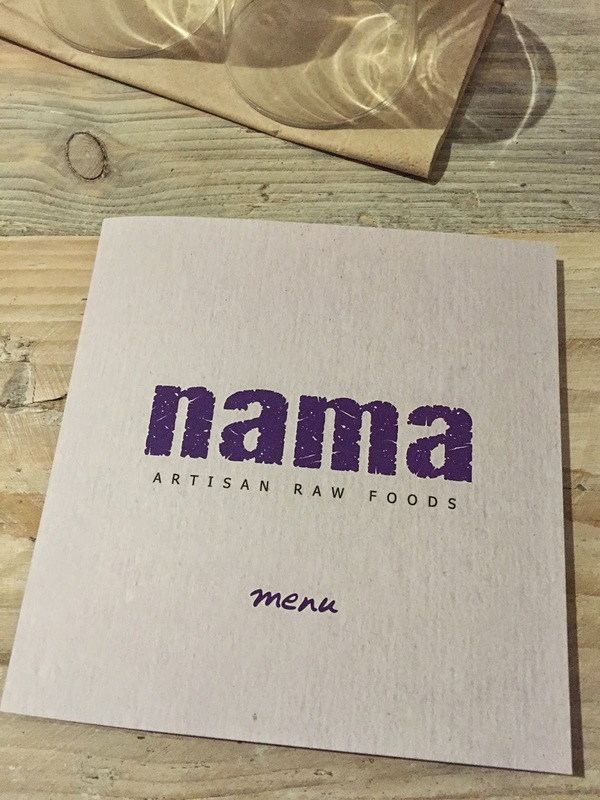 This Place is a must, raw foodie or not Nama captures flavours and textures that will have you questioning your eating habits, and understanding the appeal of the ever growing raw food craze. You can book late from Thursdays through to Saturday, we booked early, our table was 6:30 but didn't feel too early as the small back room was soon heaving with regulars and other first raw foodies. We browsed the menu...'Lasagne'...'Pizza.'.. 'Thai Curry'... while tucking into some sprouted crackers and fresh guacamole. 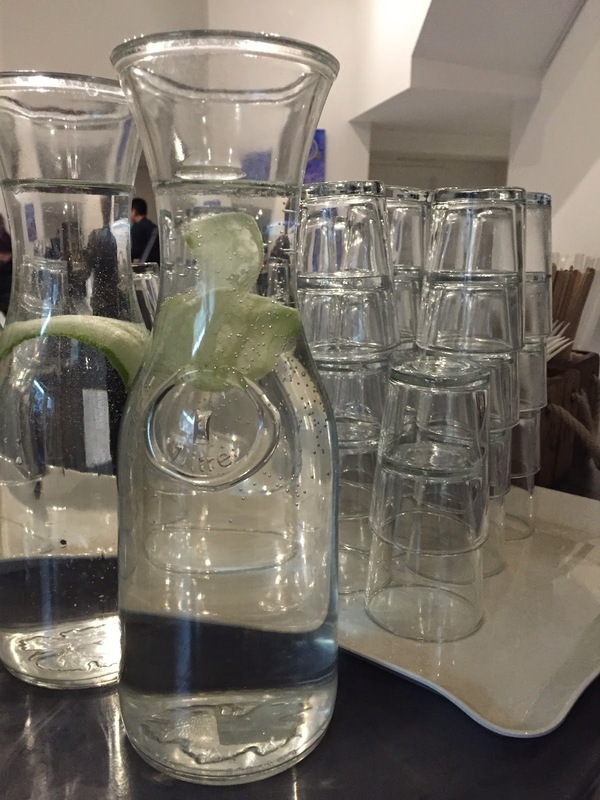 Cool cucumber water is brought to your table... if you have never tried cucumber in your water. Do. it is really refreshing and you immediately feel healthy and hydrated. 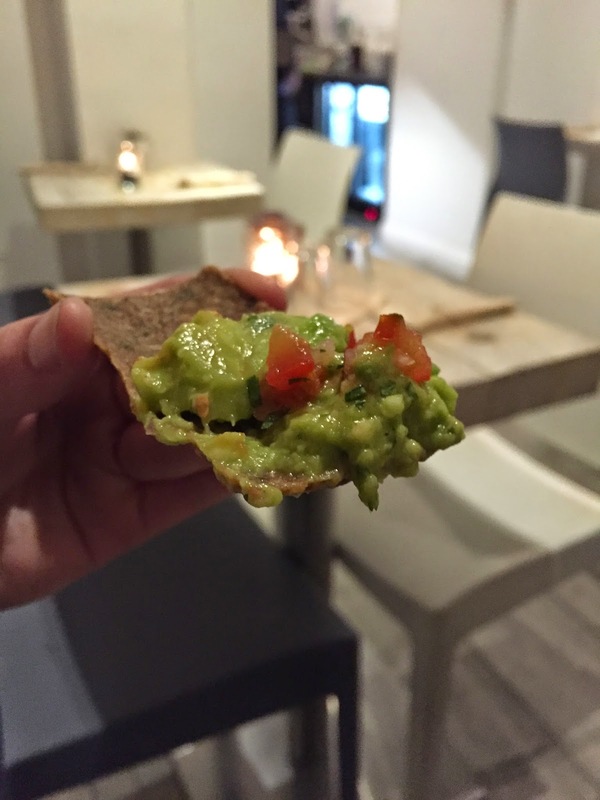 Spicy guac and tasty crackers, we were off to a good start. Before long out came our mains... Thai Curry and Green pizza. 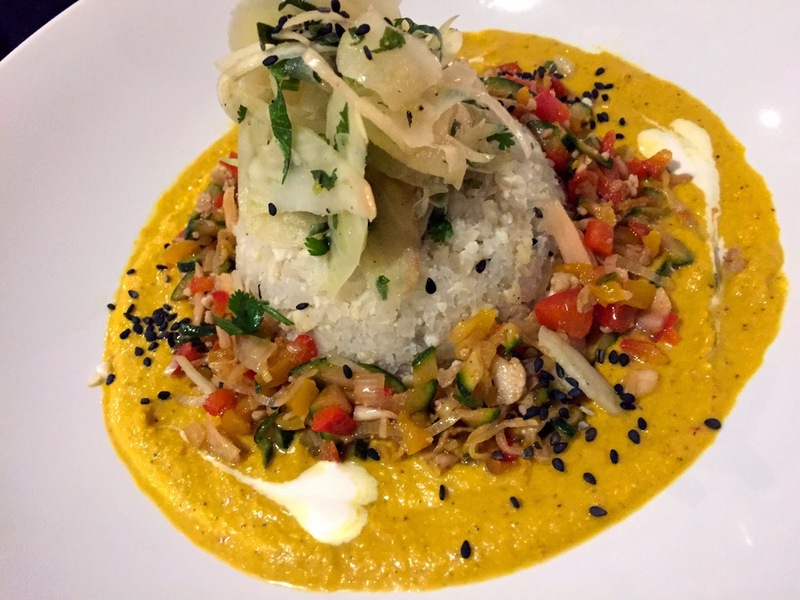 The Thai Coconut Curry...kohlrabi rice packed into a dome in the centre with cauliflower, courgette, red pepper, leeks in sweet chilli and a sweet coconut sauce. Really delicious and packed full of flavour. The Green pizza. 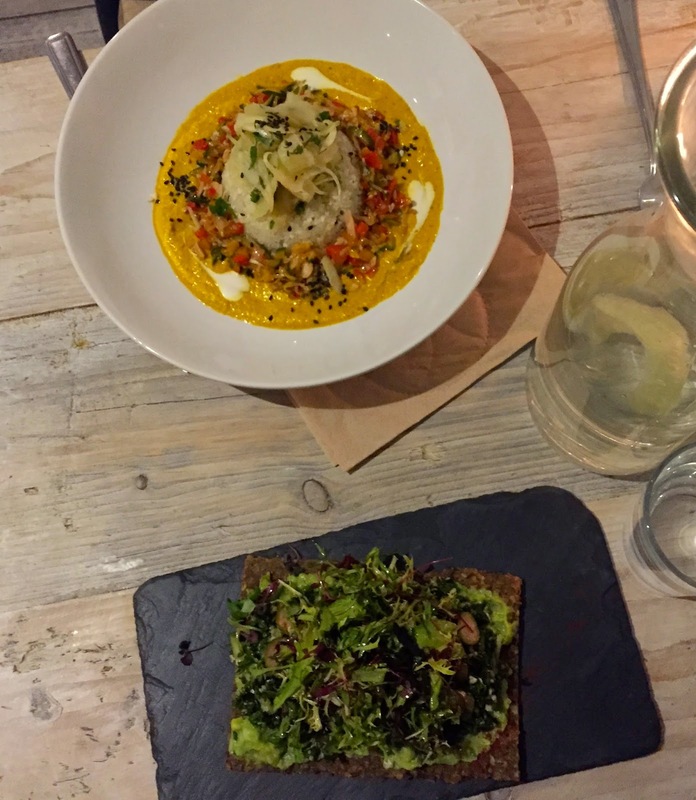 A courgette and walnut base, fresh kale with avocado cream, sliced caper berries and a micro herb salad. Full of flavour and surprisingly filling. Next we decided to try out their 'Chocolate Submarine' a hot chocolate, where you choose your milk. We both went for coconut which was tasty and yes 'hot' raw food can still be raw although there are certain rules. Everything can be heated/cooked to 42C anything above and it is no longer raw. Out hot chocolates were warm and served with a big hunk of dark chocolate. and Mocha Cheese Cake. smooth, indulgent and all raw. The base a mix of coconut, seeds and maple syrup was divine. 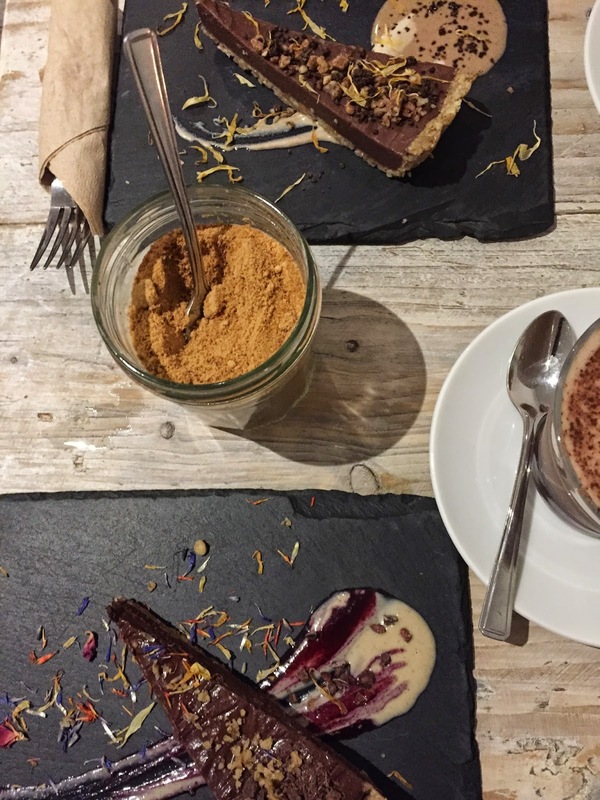 Cocoa nibs, crumbs and sauce smeared underneath added to the uniqueness of these raw desserts. 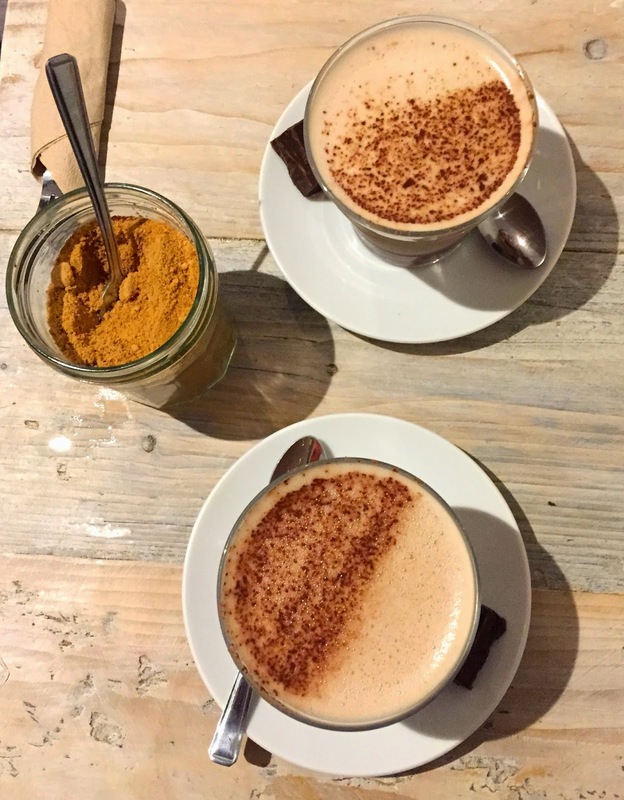 Extra servings of coconut sugar for the hot chocolates was on hand. On your way out you can't help but notice the goodies for sale. The fridge is also worth a look, next to the bar. You can buy fresh coconuts that they smash open for you. You will come away from this place desperate for a sprializer and itching to try out some raw recipes. I have certainly been inspired and will be working on a couple to share in February. Oysters & Seared Fois Gras - A French Affair.